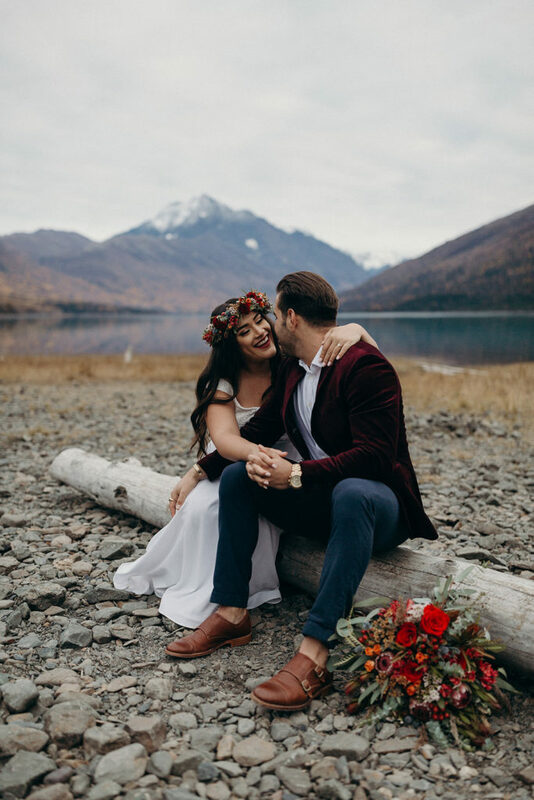 When a couple from Texas decides to get engaged in Alaska, you better believe they’ll go big with their photos. 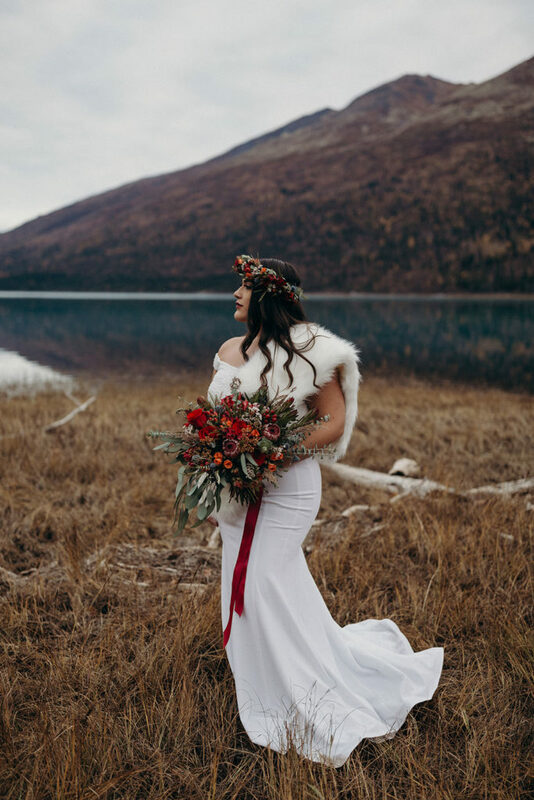 AnaLau was looking for some florals to accompany their autumn Eklutna Lake photo shoot with Kristian Irey Photography. 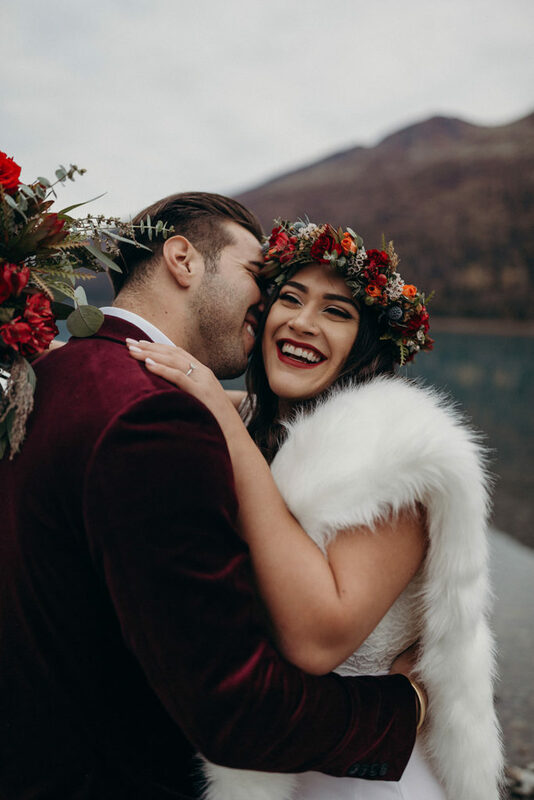 The couple wanted deep red tones with aspects of wild Alaska. That’s right up my alley! 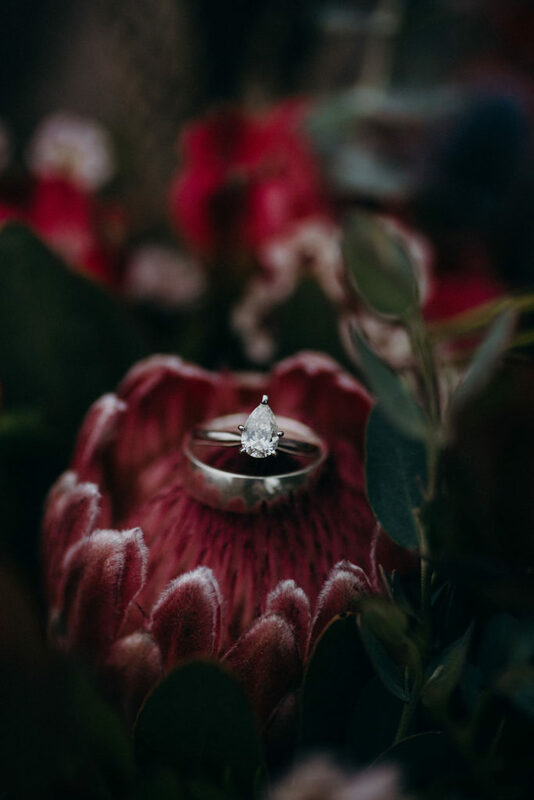 Photo by Kristian Irey Photography. 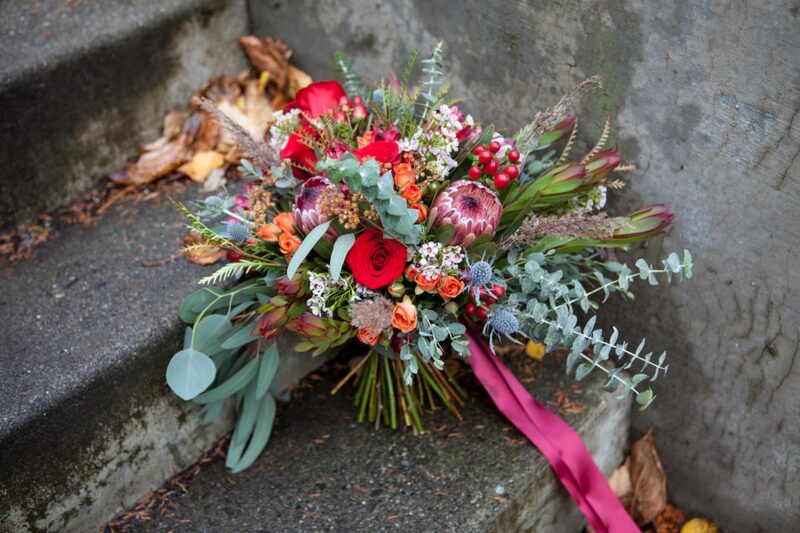 Red roses, pink mink protea, orange spray roses, thistle, dried wild yarrow, wild grass, wax flower, safari sunset leucadendron, thistle, acacia, hypericum, alstroemeria and eucalyptus – this is one dramatic bouquet! 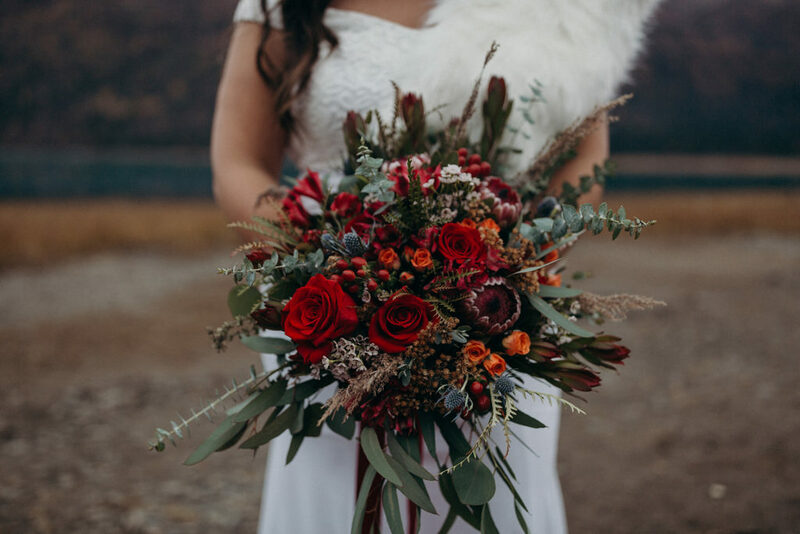 Photo by Kristian Irey Photography. 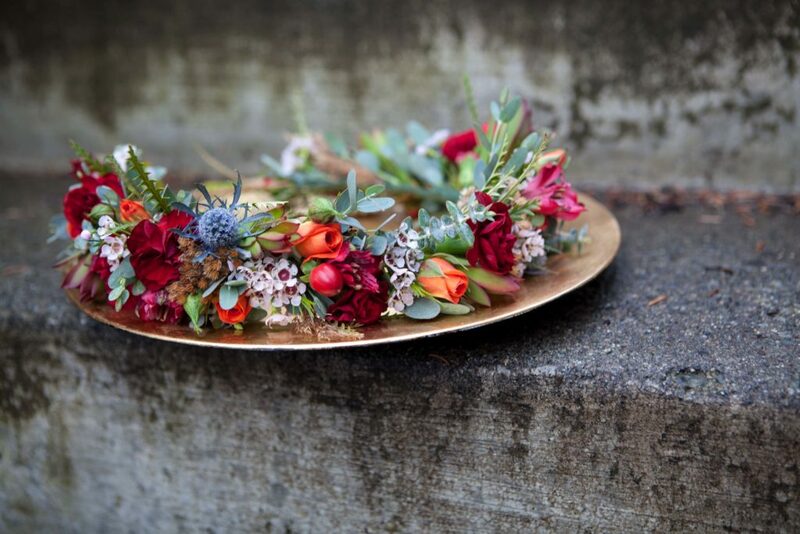 And a flower crown to match!